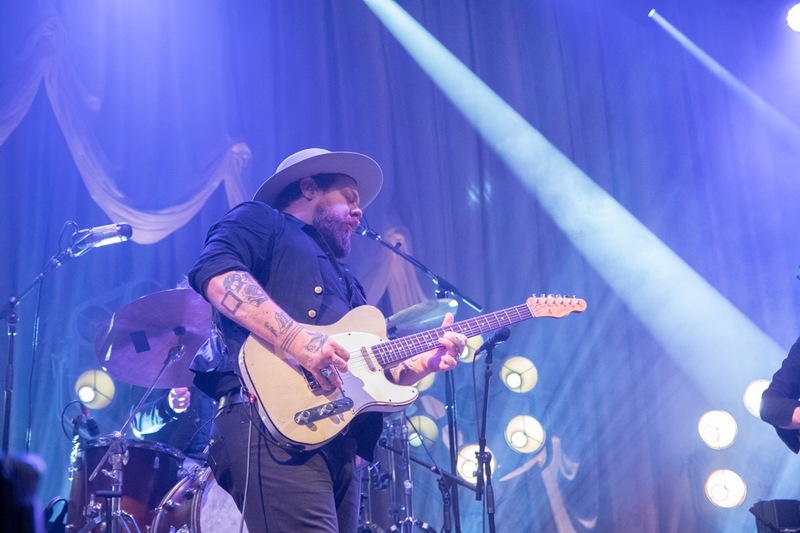 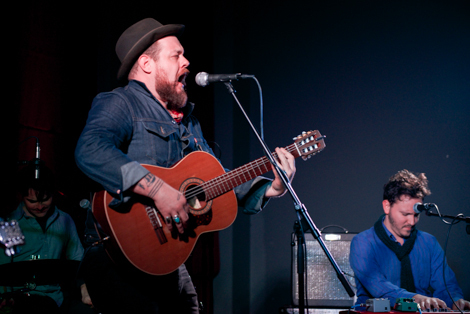 Nathaniel Rateliff brought a fever dream night of soulful rock and roll good times ahead as Getintothis‘ David Hall checked in to Liverpool’s Olympia ballroom. 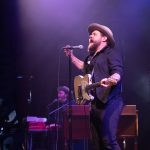 If you enjoy a proper good old fashioned journeyman story, then bend your ears and get right onto Denver, Colorado’s own Nathaniel Rateliff. 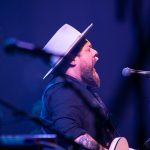 Gathering little more than a dedicated cult following as a roots folk musician and solo acoustic guy, Rateliff stood at a crossroads in 2013. 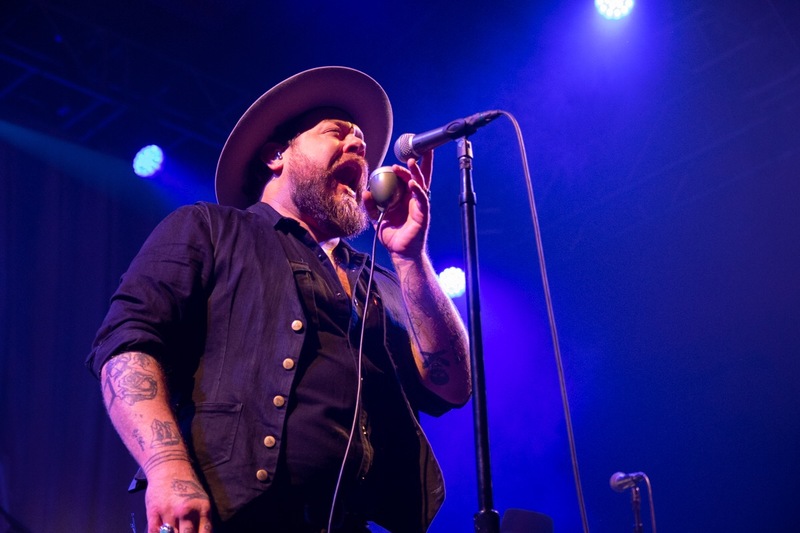 Taking one last roll of the dice on his music career, he melded his fondness for vintage rhythm and blues records, formed a barnstorming southern soul band, and played breakneck rock ‘n’ roll instead. 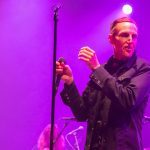 If nobody liked it, then heck, he’d just have to go and find himself a proper job. 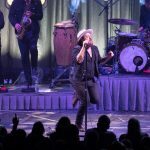 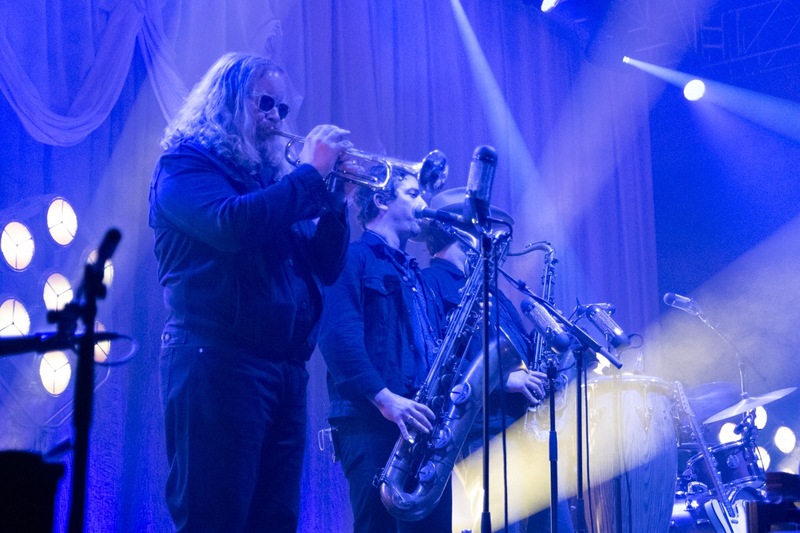 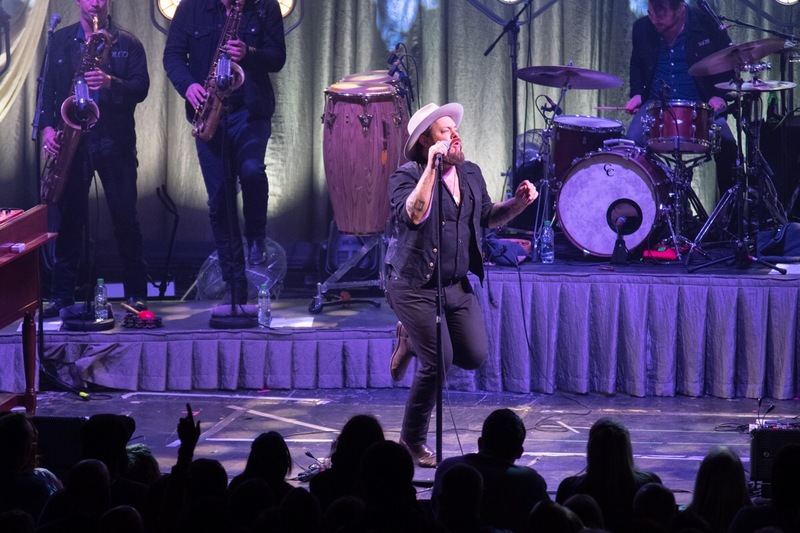 Two albums, international tours, Billboard chart toppers and many admiring glances for his dancing later, ol’ Nat is going from strength to strength with eight piece The Night Sweats. 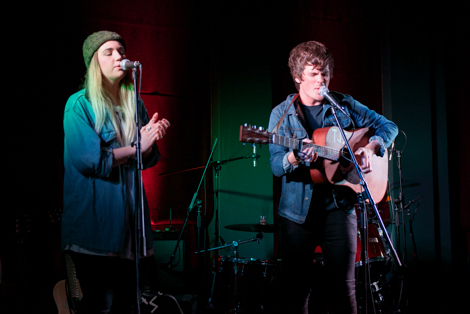 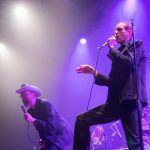 They have a new album to promote in Tearing At The Seams, bringing them to Liverpool’s stately Olympia. 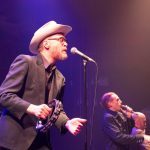 But first, Slim Cessna’s Auto Club took to the stage and proved you should never judge a book by its cover, or a support act by their appearance. 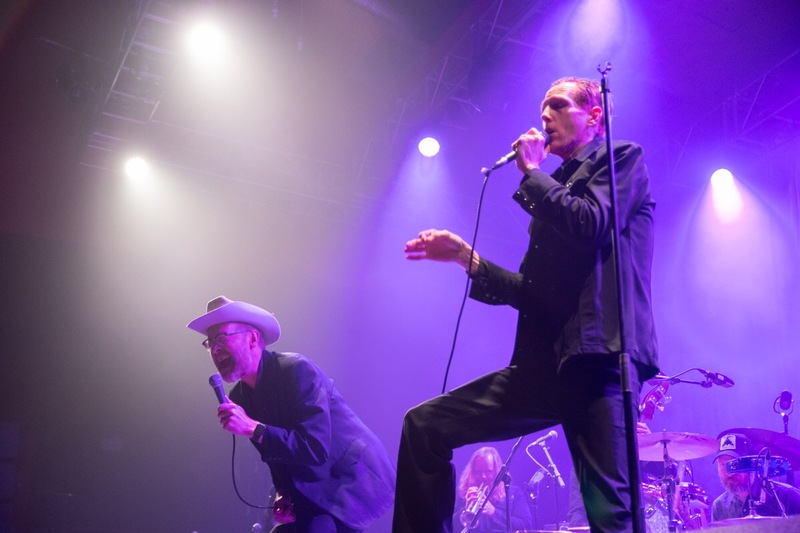 While Stetson-sporting Slim himself – think Matt Berninger fuelled by Jim Beam not red wine with a dash of Swiss Tony and you’re there – and baritone vocalist Jay Munly delved into the front row for their first song, the crowd eyed them suspiciously. 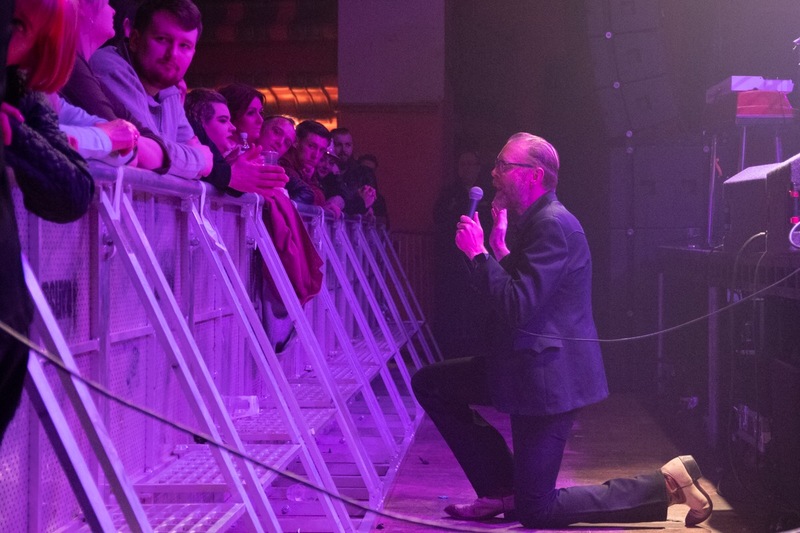 “Steady on lads,” the room seemed to think as one, “We haven’t made our minds up about you yet”. 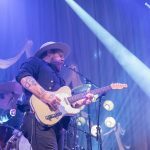 It didn’t help that the wiry Munly looked like he had been found on County Road and given a go behind the mic, and the sound was all bass with nothing but a screech of guitar and pedal steel noise behind a thunderously loud rhythm section. 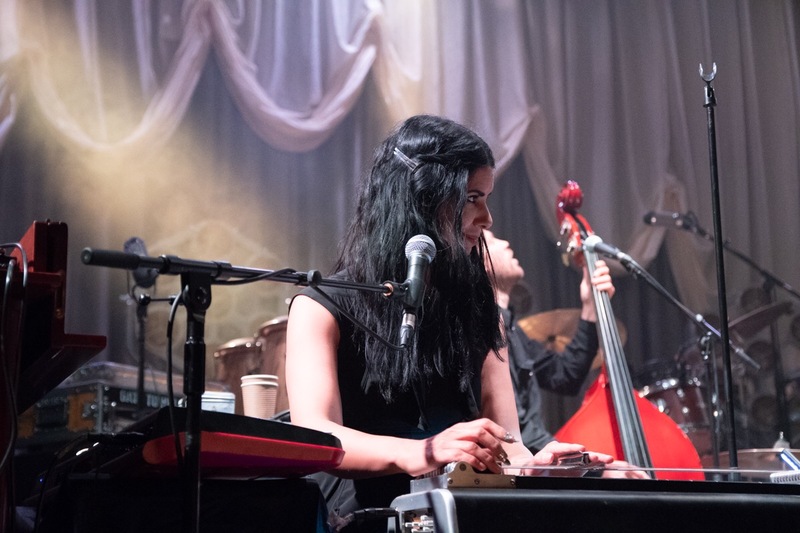 But slowly their countrified spaghetti western noir began to made sense, until the crowd by the end were lapping their southern gothic sound up. 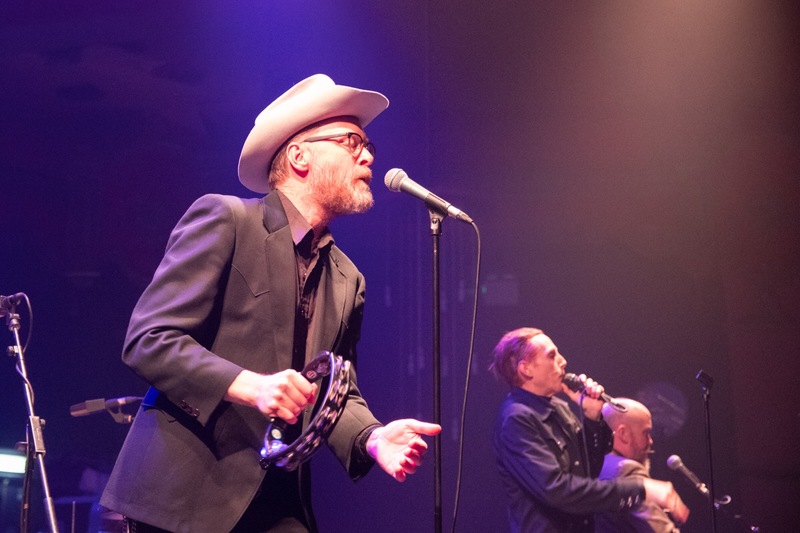 A choreographed line dance segment at the close of their set featuring Rateliff was worth the asking price alone, and as the towering Slim Cessna lumbered around the Olympia for the rest of the night, the Liverpool crowd were happy to share their enthusiasm with him. 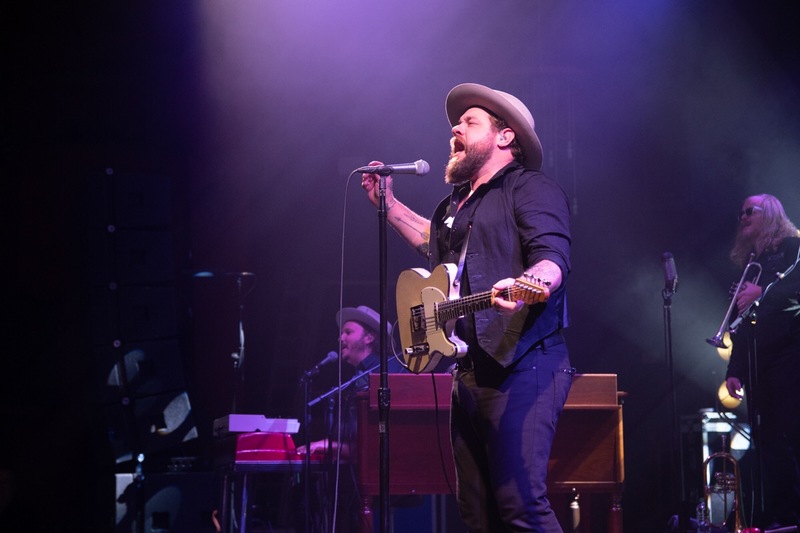 On to Nathaniel Rateliff and the Night Sweats however, who held their own without reaching the nerve-touching critical mass of Auto Club, who really did bristle with intrigue. 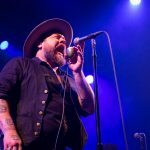 By contrast, Rateliff and band delivered a safer but masterful clutch of well-polished FM rock. 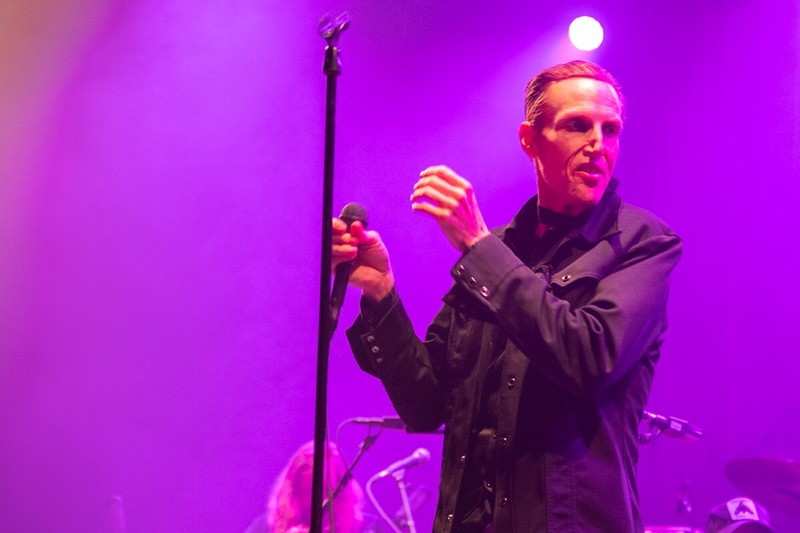 Rateliff‘s hot chocolate voice oozed all over soaring tracks like You Worry Me, and you could all but smell the wetland reeds in the follow up Wasting Time. 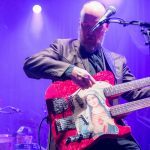 Then during a solo acoustic spot, it felt like the air con needed to be turned up we were transformed so effectively to a sweaty American shoebox, which even silenced the rowdy handful in the crowd. 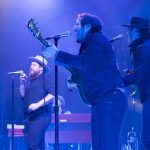 Yes, in high gears the songs reached breakneck speeds – I Need Never Get Old was pretty much unstoppable at the Olympia, just a car chase away from full on Blues Brothers – but too often Nathaniel Rateliff and the Night Sweats seemed content to tour along with cruise control ticking them over. 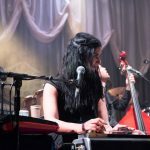 Say It Louder for example was by no means the worst song the Olympia has ever seen, but the polite applause it received was telling. 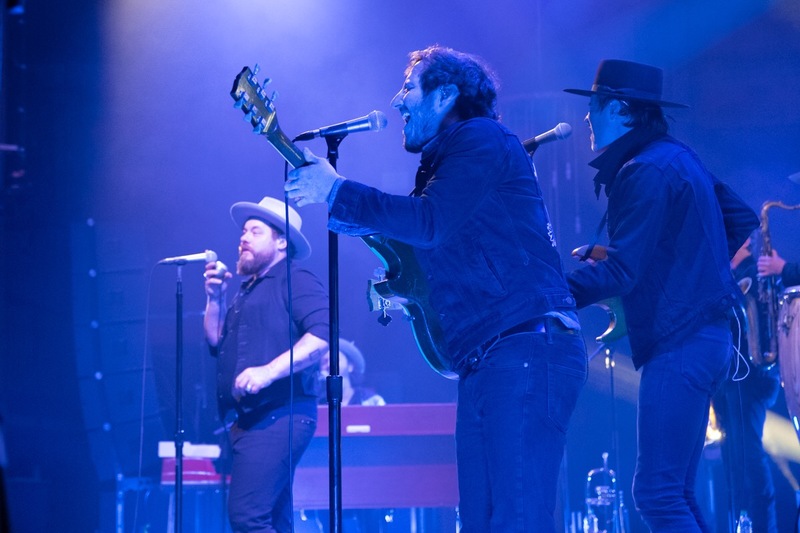 But the highlights were those rapturous, soulful stomps. 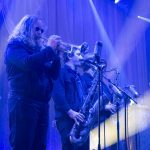 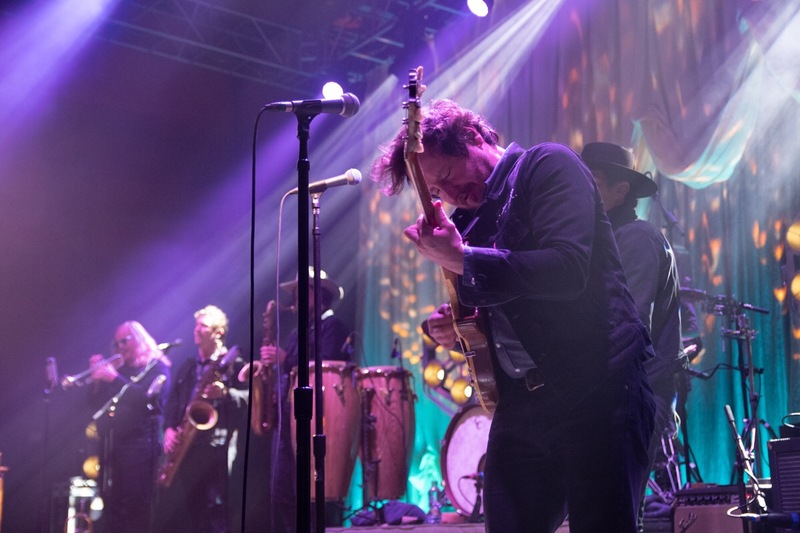 The band cannily ended their main set with S.O.B., its’ rarefied refrain worthy of any top drawer Stax blues cut hollered back by the crowd like a football chant during the break, until the band returned for an encore. 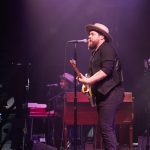 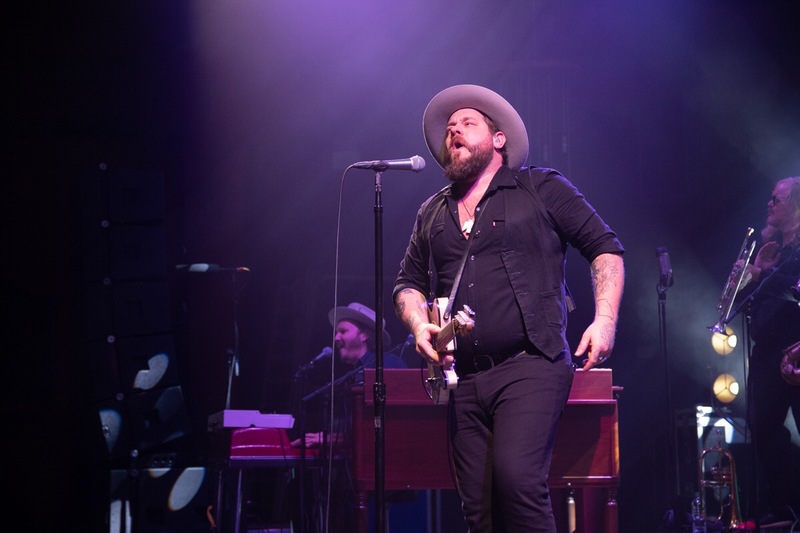 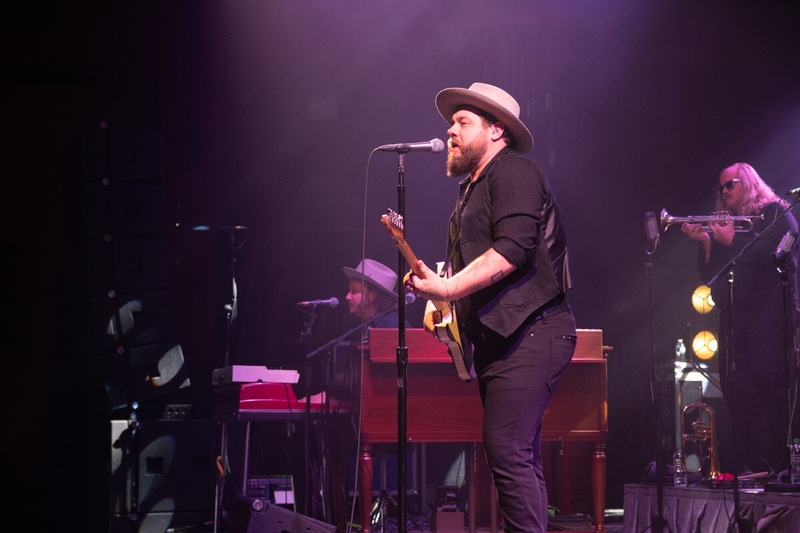 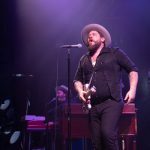 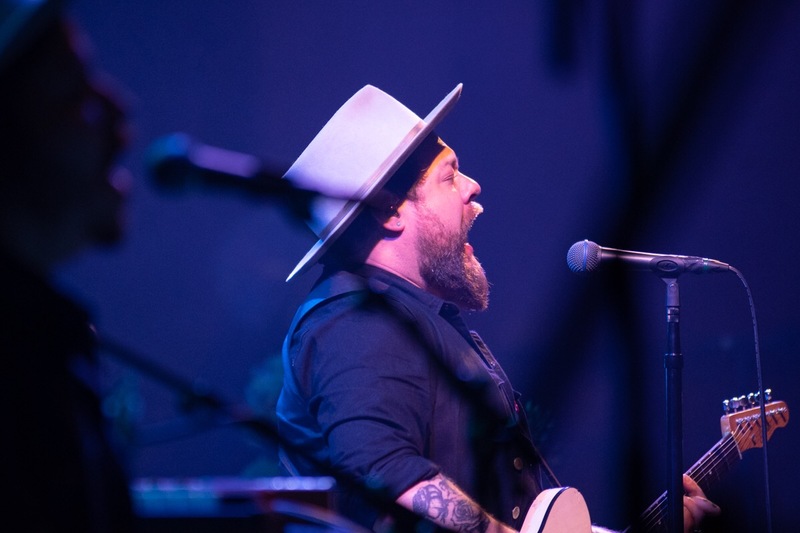 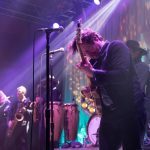 You could level the criticism at Nathaniel Rateliff and the Night Sweats that they stay too close to their template at times, but their backstory and often their sound in the Olympia was an engrossing one. 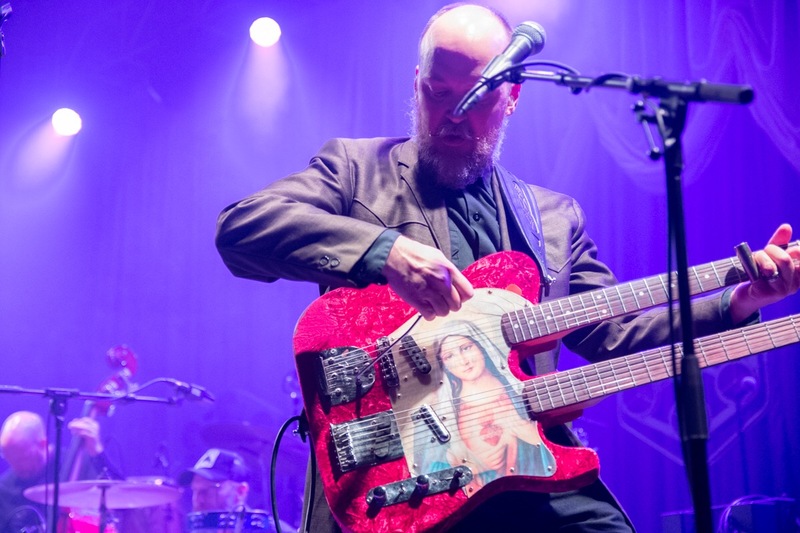 Sure, some of the songs sound a little cookie cutter at times, but cookies are delicious, right?